It’s nostalgia that paints a smile on people who appreciate things from the past. And what a nostalgic design this is. 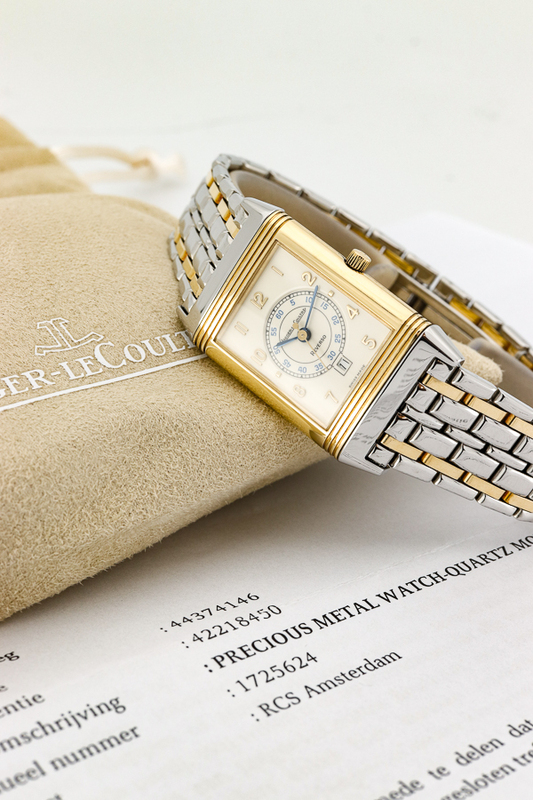 The Jaeger Lecoultre Reverso emerged on the market in the early 1930s as a sports watch, Polo to be precise. The innovative reverse-system was the solution to protect the watch from breaking while batting at things on a horse, who would imagine you’d need such a watch while doing such a sport. 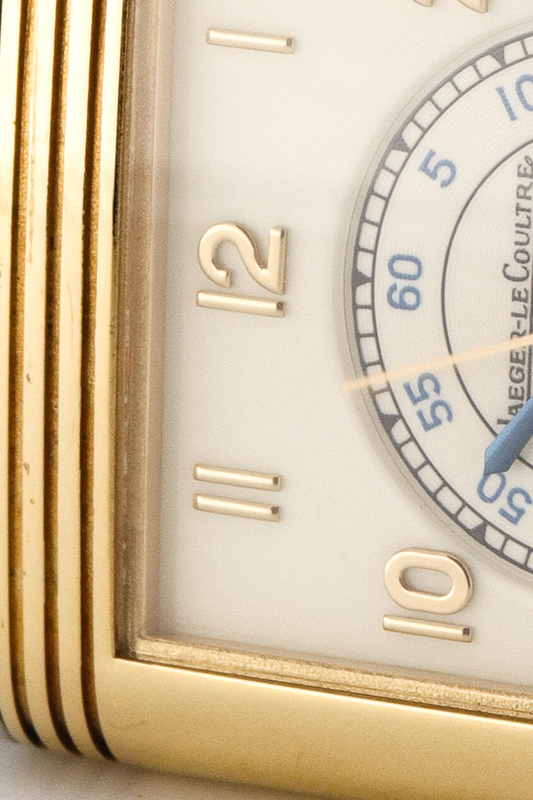 The origins of this watch can be called special and very specific, keeping in mind that the reverse has become a true icon among watch lovers. 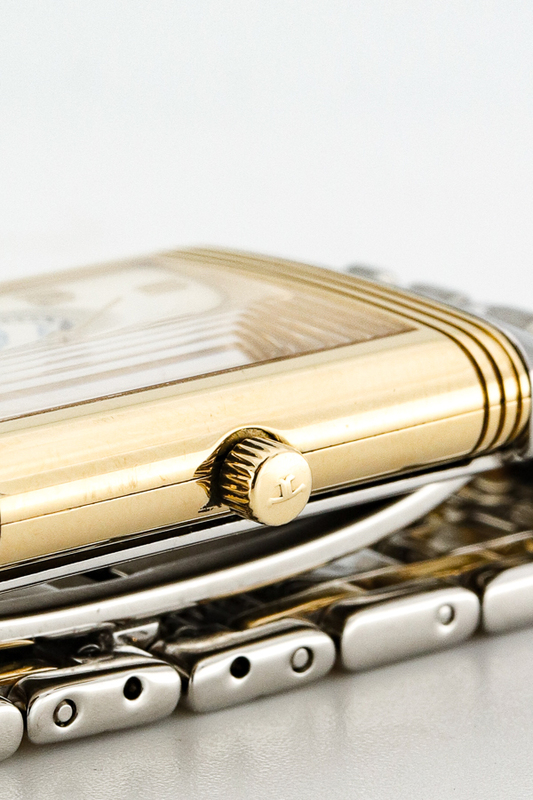 The primal function of the Reverso can not merely be held responsible for its success over the last 88 years. 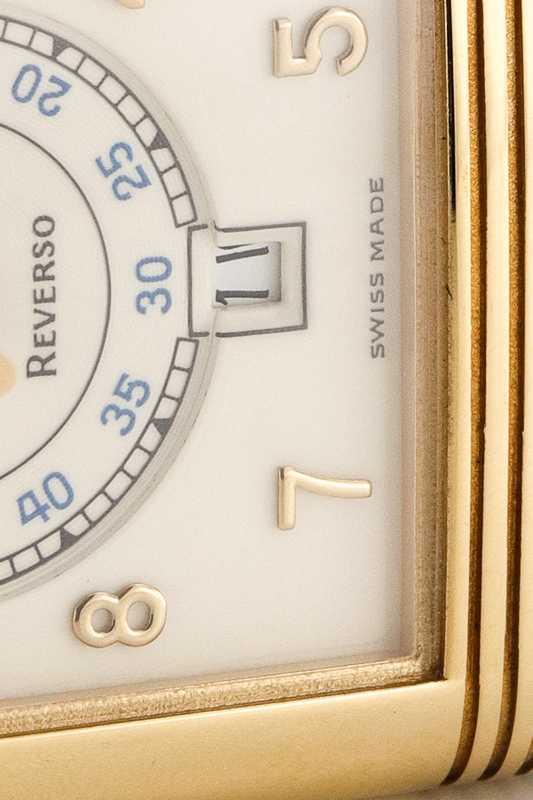 In this enormous time span of the Reverso’s existence, very little visible changes were implemented. Of course the first 40 years there were no quartz movements available like our watch has, but this is not a real visible design change or any, it’s simply a more modern battery powered movement. 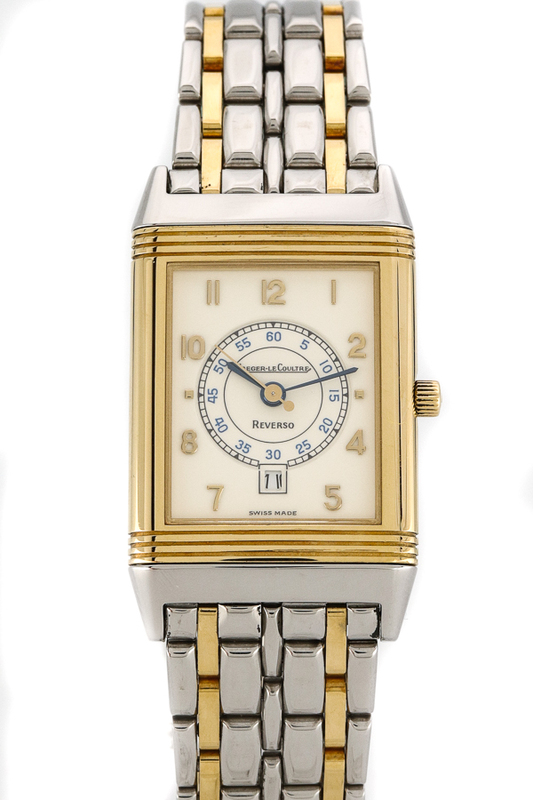 Many dial designs have seen daylight and throughout the years though, many different complications were developed, resulting in a bigger variety of Reversos. 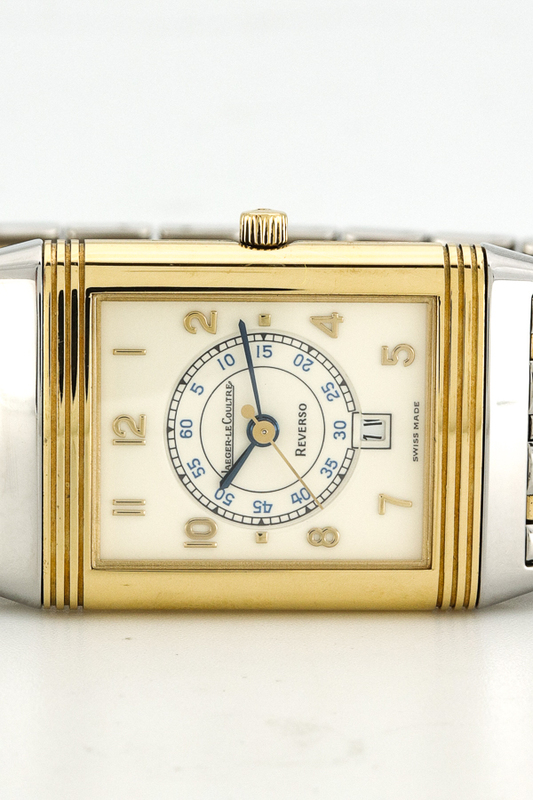 This Reverso has a typical 1940’s design; the applique Arabic numerals on the outside of the dial with the sunken sub-dial in the centre with minute-track simply looks vintage and cool. The off-white combination with blue and gold keeps is classy and exciting in a way. The date function makes it definitely more complicated than its 1940s predecessors. 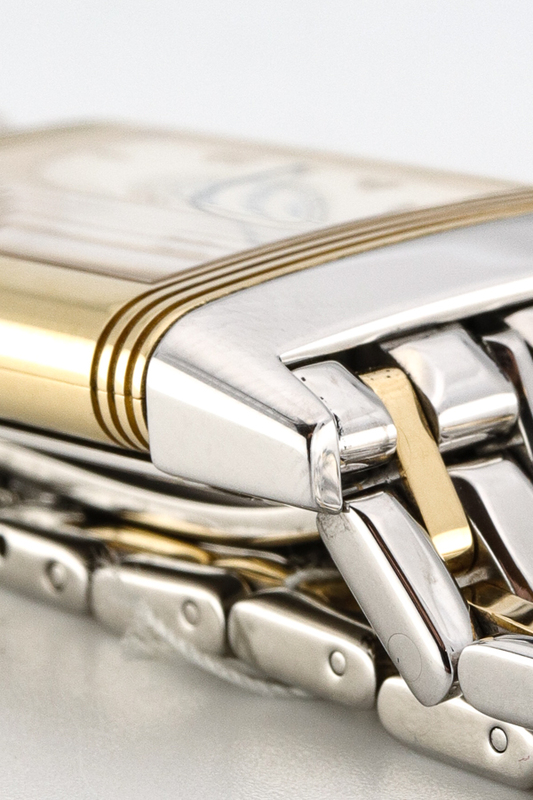 The steel and gold combination is another timeless aspect of this watch, it still looks great and steel and gold is more popular than ever. 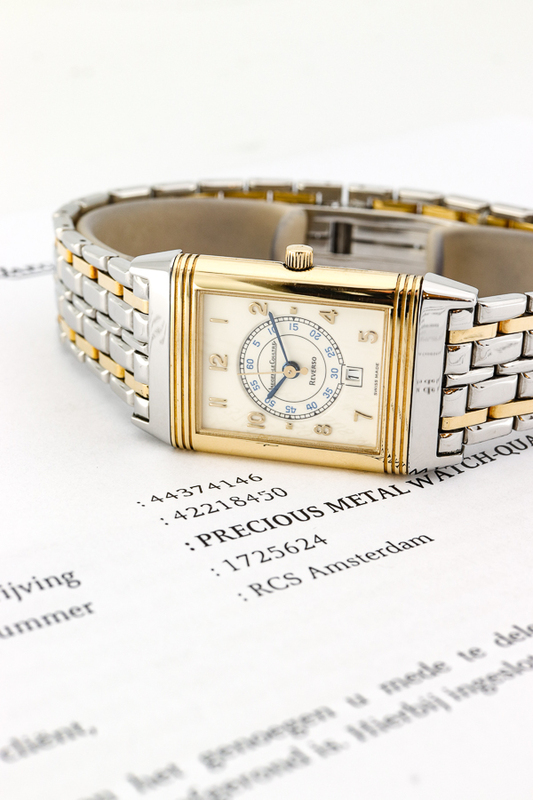 The condition of this watch is close to perfection, it has had a full service at the end of 2018 and comes with international warranty. 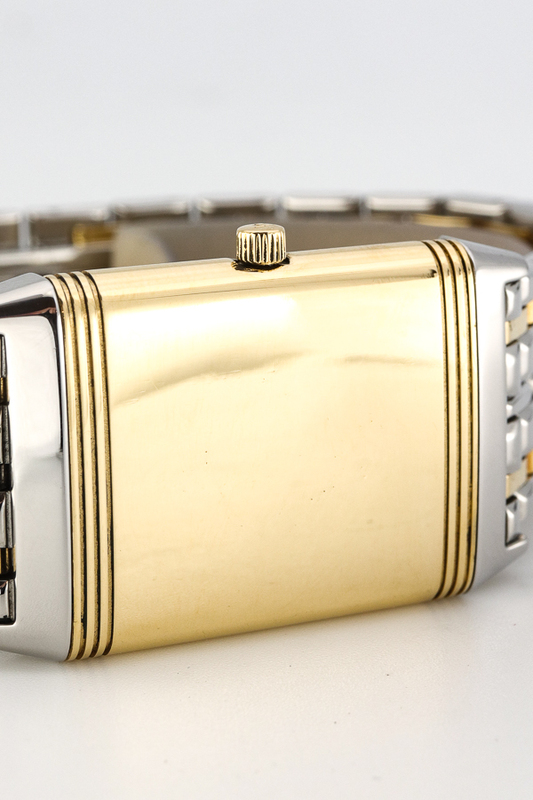 Visit our store to see this Reverso among other beautiful pieces we have. We are located in the Reestraat, Amsterdam. Tags: Service Papieren, Quartz, 23mm x 28mm.